CT Link is AT Link and he fought against Dark Link. "He crafted it with a monster born from the shadows in mind." So yeah, it is the Dark Link we fight at the chamber of illusion in the Water Temple, but how did Kilton encountered it in his own mind ? Did Dark Link became a nightmare or something ? 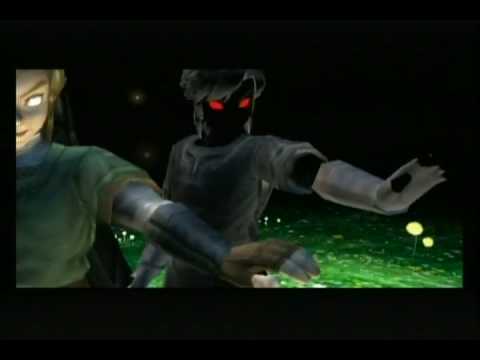 In FSA, Dark or Shadow Link was born from Ganondorf's, or Ganon's mind reflecting the Dark Mirror. The Monster Extract Kilton is distilling is from Ganon's Malice within the monsters, Kilton is using Ganon's Demonic Energy to make his stuff, he might had access to parts of Ganon's counsiouness about Link, and made the whole Dark Tunic set after this dream. So, by that, the CT works as Well. Interestingly, the Dark Link outfit doesn't actually look like OoT Dark Link. OoT Dark Link is a reflection in water -- translucent, kind of blurry, but clear enough to see that he's there. Though obviously modeled on the Hero of Time outfit, and even then, it's noticeably lighter in parts. That isn't too weird, though, as Kilton might have just not known what OoT Dark Link looked like and made his best guess. That still means that Kilton had an idea of what the Hero of Time's outfit, of course. I don't think that's too hard to explain on the CT, as the Hero of Time and green tunic already exist in the CT and he likely has similar clothing habits to what he did in the AT, but it is easier to explain in the DT and especially the AT, where he know Link's image was preserved. I really like the point on the interlopers. Every game is not a legend in BOTW. Maybe if you clarified that statement I might agree but very specific games are referenced and even fewer referrals legend. The MC or FS adventure is not a legend in BOTW. If you mean that all Zelda games are referenced then sure. Someone did note to me that Zants outfit was that way before he met Ganondorf so I guess the pattern is maybe more Gerudo based than what I thought. I think it's because they're the Capcom games. Notice how in Hyrule Warriors, every game is referenced in some capacity except for Oracle of Seasons and Ages, Four Swords, FS Adventures, and the Minish Cap, which are all the Capcom games. (There's also Triforce Heroes, but either A, it wouldn't fit the tone of the game, or B, it's made by Grezzo). The post was edited 1 time, last by twii ( Sep 30th 2018, 6:37pm ). Hmm. Is it fair to say that because they mentioned the names of certain characters that perhaps that rule is taken out since soley a Nintendo game? Zelda 2 isn't truly represented either, it's more about the popularity than everything else. Some locations were named after TMC, so they still care about it. I am thinking Kilton just did research and "found out" some minor details about Dark Link. I did think if the Dark Link could possibly be Shadow Link, however it didn't make sense the FSA is a Legendary Hero and none of that adventure is known. Saying the Dark Link Tunic is the replica of the Tunic of Time makes more sense because OoT (the story) is pretty well known in BOTW esp for the Hylians and the Zora. If the Dark Link outfit had an affect (or vice versa) on C.Ganon, then I would say that yeah this could be Shadow Link's outfit because of the connection. From what I have seen, there is no connection between Dark Link and C.Ganon (or his blights) in the game. I can't do a convergence theory, despite how BOTW references all the timelines lol....unless the plot was about that and focused on what the magic of the ToT can do...unless that's what really happened 10,000 years ago...and was erased from all knowledge, and the people of Hyrule only know that a hero and Zelda, with Sheikah magitech fought and defeated Ganon. Either way, with a chance to continue progress after stopping Ganon from returning in AoL...its not hard to imagine a hi-tech hyrule like in BOTW....though, 10,000 plus years, I guess its true for all timelines lol. I honestly think it goes where YOU the player want it to...whatever your Zelda experience, including a united timeline. Yes, that's what Nintendo said in the Master Works book. It's what killed the topic the first time. Softest merge excuse they could possibly go with. "All the previous games are Legends within BotW, so it goes where you the player want it to go. Just like people have been solving the puzzles the way they want to solve them and having many solutions to the puzzles, you can provide your own solution to the timeline." Wait does it actually say that? There should be a game that reveals the triforce, the master sword, magic, spirits, chosen ones... they're ALL myth....and what really happened was just a kid looked at a cruel tyrant named Ganon and said, "enough"! I think I've found a solution for the Zelda Timeline: making it linear. How's that possible, if the timeline splited after Ocarina of Time? Easy, when Link travelled to the past he rewrote time, undoing the events from the future. Many years have passed since Ganon was captured, but could not be sealed away beacause of Link's absence, the spirits of the Sages try to kill him, but the triforce protecs him. He is vanished to the Twilght Realm. Kokiri start disappearing. Since Ganondorg was "killed" with the sages sword and not the Master Sword, he is kind of sealed, and thus the triforce doesn't reunites. Link goes away with Epona, following the Spirit of the Heroe's teachings. Ganondorf gets free from his prison, and the temple of time is comletely destroyed now. The goddesses flood Hyrule. The kindom of Hyrule starts draining thanks to the Koroks. Zora have survied under the sea, and now both Zora and Rito exist. The Triforce and the Master Sword are found. With no Temple of Time to protect the Scred Realm the humans reach it and become monsters, the descendats of the maidens seal it. A reincarnation of Ganondorf reaches the SR and becomes Ganon, the Demon King, he is sealed away too. Link goes travelling and gets lost in a storm. An era of prosperity starts, some regions attached to Hyrule start to become independent, one of the firsts is Hytopia. Ravio leaves one of his hoods in Link's house. The events from princess Zelda the I happen, Ganon revives, takes the triforce of Power, Wisdom one is divided and Courage one remains in the Soul of the Hero. More Kingdoms have divided. A boy who is the reincarnation of Link is sent by the Triforce to help other kingdoms. Birova witches, still alive and inmortal, had been the ones beside a lot of Ganon's resurrections, but in despair for always been defeated they start thay plan to revive him theirselves. I have a simpler idea, that fits both your idea @Hpa654 and Nintendo's Myth/Legends reason. Altho i am not a fan of a merger, soft or otherwise. after playing the game myself and watching my 6 year old play and beat it, i honestly feel like a soft reboot is in play and we have a linear timeline of sorts. We know that certain events have happened in BotW's history, we have clues and things that point to all, from the voice inside the master sword (Fi) to Zelda's speech, to most item descriptions. but my son ran across an NPC, who made the comment about the moon being full and how scary it would be if the moon crashed into the land. My son pointed out that clearly this was a nod to Majora's Mask. and that got me thinking, what if the "Myths" are really just different versions of the same events in BotW's History. take, A Link between Worlds and A Link to the Past. ALBW takes heavily from AlttP. we know this because of how the games are made and that one is a follow up to the other. but what if, from a history stand point, these are two stories of the same "Event". sounds crazy until you apply this to other games as well. 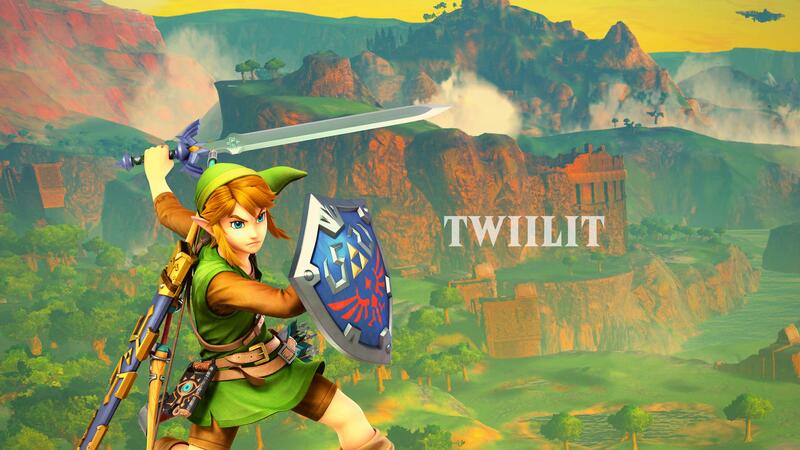 Twilight Princess and The Wind Waker both have similar story beats. They deal with the hero following the Hero of Time. Ganondorf is finally dealt with. History has become so corrupted over time, with Ganon's attacks, that it isn't hard to believe that there would be different versions of the same event being told, just like we have today. I actually thought of that too! I actually thought that SS, OoT, TP, and the First Calamity were what actually happened, and the other games were myths based on them. So you'd rather have a reboot; the worst possible of all things meaning none of those past games happened ... than a merger which means everything else happened? People act like there's something inherently wrong with reboots. I literally thought this game was a reboot until well after release, and it doesn't take away from the game at all. At this point I could care less where it falls. But my understanding of gravity demands that it stop being up in the air already. There is something inherently wrong with reboots. Lets wipe out a twenty film continuity in James Bond just because we got the rights back to the first book? It's spitting on everyone else invested in the series and not just your one off reboot that just encourages the series to be rebooted again. And then are we in the rebooted timeline or the original timeline or a re-rebooted timeline? Skyfall makes it very hard to know the difference as they switch back and forth from the idea of James Bond being a relic and bringing out cars and gadgets from the 60's over to the idea he's a new agent who just got shot for the first time and they hired some new young girl called Money Penny. What is even real anymore? Look at Batman Forever, the reboot done so early they didn't even have a word for it yet. Run Tim Burton's joint into the ground, screw over ever getting the good Batman 3 that people deserved. And then you reboot it two movies later with Batman Begins anyway. What's the continuity behind the Batman films at this point? None. The next Batman is going to be a fourth / fifth film series reboot, depending on how you're counting. So inherently not only is there no reason to care to see the new film, there's no reason to care what happens in the new film because it's just going to get white washed away later anyway. Make a good sequel. Look at Cult Of Chucky. Seed of Chucky sucked. So they faked a reboot plan into a sequel that was actually really good, and then we got another good sequel in Cult of Chucky. Doesn't take away from it at all? That's like saying the Nightmare on Elm Street reboot didn't take away from that series at all. If they want to call BotW a reboot, they really should have went and called OoT and TP both reboots as well. And Wind Waker. And Skyward Sword. Capcom wanted their Oracle games to be a reboot. Thank God Nintendo hasn't been that stupid. But maybe it's not stupid. Trump reboots real life every time he does a rally. Writing rhetoric like Shake Spear when he wrote Anne Frank's diary which is about the simple War of 1812 in Germany. He's like the Spanish Inquisition when they killed Jesus, and Abe Lincoln's suicide was the theme for his thesis, like Moses when he'll focus he can split the Red Sea which he did in 1950 for the Chinese Army. We shouldn't call them Alternative Facts we should call them Rebooted Facts. The post was edited 2 times, last by PimpUigi ( Oct 30th 2018, 1:42am ).